The Grunow "Teledial" is an automatic station selector, using a telephone rotary dial technique. 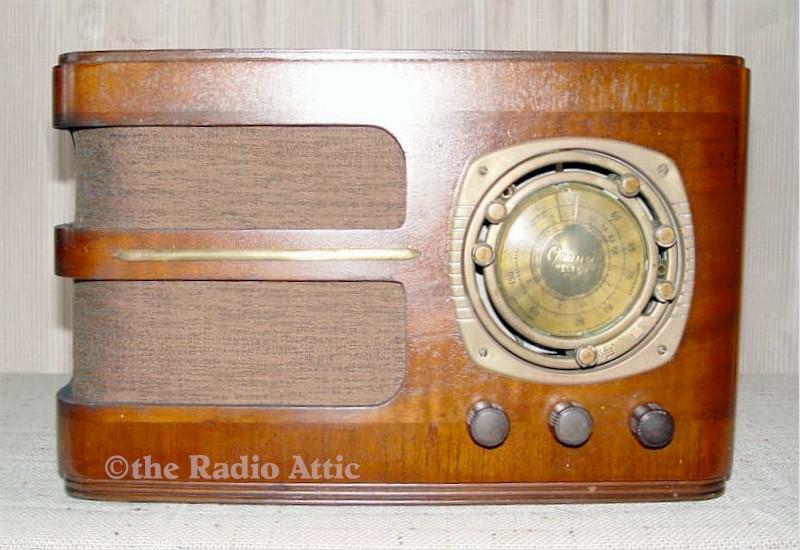 It was manufactured in 1937 to 1938, and has broadcast and short wave bands. The cabinet has been restored to the original colors and finish. Knobs are original but the speaker cloth couldn't be salvaged. It has been recapped and electronically restored, and has a 1/8-inch external auxiliary audio input jack installed on the back cover. It weighs 15 lb 6 oz. 14-1/4"W x 9"H x 7-3/4"D.
You are visitor number 1,452 to this page.